Protein is an essential macronutrient that plays a critical role in our overall health. For those who wish to increase their protein intake, this article provides a list of the top 20 highest protein foods. As you will see, most (but not all) of these options are animal foods such as dairy and meat. The simple reason: this list is not about finding fruit or vegetables that contain a few grams of protein for balance. Instead, it is about the absolute highest dietary sources of the nutrient. In no particular order, here are the top twenty foods high in protein. (All values are before cooking and come courtesy of the USDA food database). When people think about protein, the stereotypical image is a big slab of red meat, so we will start with beef. Beef is an abundant source of dietary protein, and a typical 8oz serving provides around 60 grams of the nutrient. Beef is also one of the most nutrient-dense foods, and this nutritious meat provides substantial amounts of iron, zinc, and B vitamins. While chicken breast may not be as tasty as the first option on this list, it is also one of the highest protein foods. For instance, the protein content of an 8oz chicken breast is around 55 grams. Similar to steak, chicken is also rich in nutrients, and it contains important amounts of selenium and B vitamins. This white meat works well in so many different dishes due to its mild flavor, and it is particularly tasty when roasted in the oven. Chicken also makes a great addition to a variety of soups and stews. Canned tuna may not be a premium food, but it does the job, and it is a cheap and convenient protein source. A typical 140-gram can of tuna contributes around 33 grams of protein to our daily diet. Pork chops are delicious in whatever form they take. While the fattier cuts offer a better taste, opting for a leaner cut maximizes the protein content. 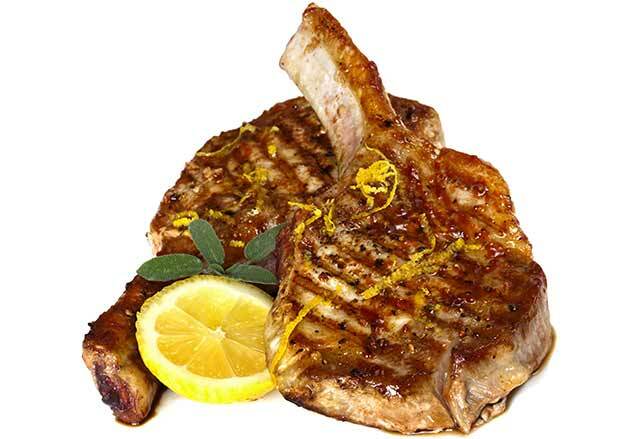 An 8oz pork chop provides around 53 grams of dietary protein. Also, pork chops provide a significant amount of B vitamins, phosphorus, and selenium. Sockeye salmon is a delicious tasting fish with an excellent nutrition profile; it offers omega-3 fatty acids, a good source of protein, and a wide range of vitamins and minerals. Among these micronutrients, salmon is an especially notable source of selenium and vitamin B12. A typical 1/2 salmon fillet provides approximately 42 grams of protein. To increase this amount still further, salmon tastes delicious when combined with a cheese and parsley sauce. Many plant-based foods that claim to be high in protein are not significant sources. For example, broccoli is often promoted as a “protein-rich” vegan option. In reality, it contains less than three grams per 100 g.
In contrast, lentils genuinely are rich in protein. They are not a complete protein regarding their amino acid content, but they are one of the best sources for those who don’t eat meat. A 1/2 cup serving provides around 25 grams of protein. Lentils are also one of the best foods for people who prefer a higher carb diet, and they offer a good source of essential nutrients like iron, magnesium, and potassium. Shrimp is a popular type of seafood with an impressive nutritional profile. Amongst other nutrients, shrimp provides a rare food source of vitamin D, large amounts of selenium, and some omega-3 fatty acids. 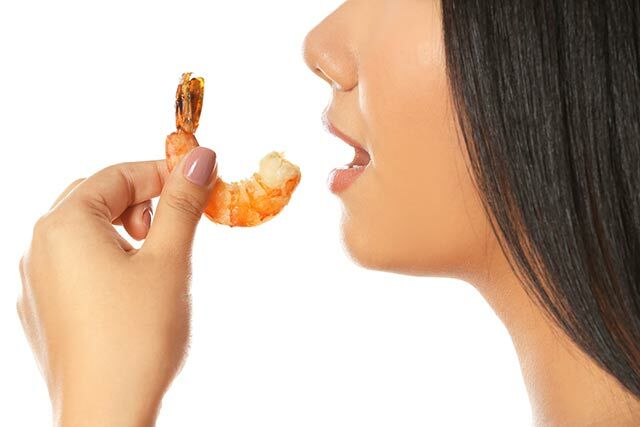 In addition, shrimp is a source of high-quality protein, and a 6-oz serving contains about 34 grams. There are many different ways to enjoy shrimp, and they taste just as good alone as they do in a casserole or salad. For maximum protein, a ‘surf and turf’ combo of shrimp and steak is hard to beat. Sardines are one of the healthiest seafood options, and this small fish provides an array of beneficial nutrients. To summarize; sardines contain significant amounts of vitamin D and vitamin B12, and they provide more than 100% of the daily value per 100 grams. In addition to this, sardines are one of the best dietary sources of omega-3. Of course, they are one of the best high-protein foods too. A 130-gram can of sardines contains 27 grams of protein. The reason why is simple; lamb contains all the beneficial nutrients that beef does, but it also provides extra amounts of CLA and omega-3 thanks to all the grazing on pasture lamb do. Just like beef, lamb takes its place as one of the highest protein foods, and it contains over 20 grams of protein per 100 grams. 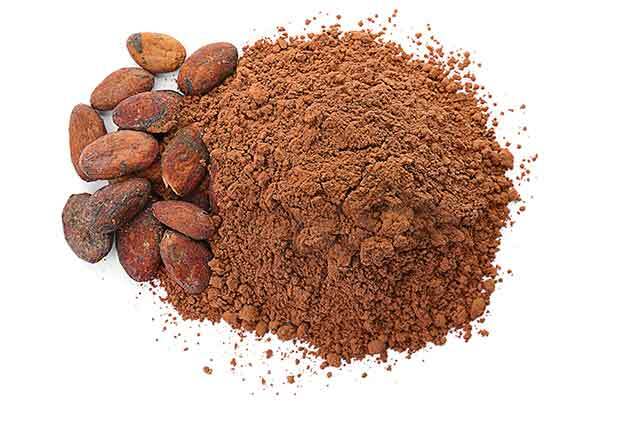 Perhaps surprisingly for many people, cocoa contains a significant amount of protein. While we do not usually eat it in substantial portions, a serving or two of dark chocolate from time to time can contribute some extra protein to the diet. It is also a decent plant-based protein for those who follow vegetarian or vegan lifestyles. Cod is a common and affordable fish with a good nutrition profile. While cod does not have the culinary reputation of salmon or tuna, it can be delicious with proper preparation. Cod is a protein-dense seafood option, and a typical fillet serving provides 21 grams of the macronutrient. For a tasty recipe, cod tastes excellent when it is lightly pan-fried in a butter, lemon and parsley sauce. However, Cheddar is one of the most famous varieties for a good reason. With a soft, creamy, and very flavorful taste, this cheese has fans from all around the world. Cheddar is also a high-protein cheese, with even a small 2-oz serving providing more than 14 grams. One of the best ways to eat Cheddar is on a cheese platter alongside some cured meat, fruit, and red wine. That said, it tastes great however you eat it, and melting some Cheddar into just about any dish will upgrade the flavor. While they are far from being the tastiest food in the world, there is no denying that pumpkin seeds are a substantial plant source of protein. 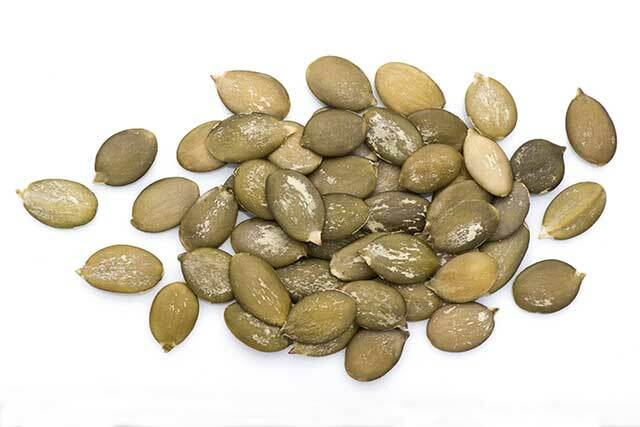 These seeds also provide a good amount of several minerals, particularly magnesium and zinc. Per ounce serving, pumpkin seeds contain 5.2 grams of dietary protein. As a dehydrated (and more concentrated) version of beef, jerky has an incredible protein density and contains almost 10 grams per ounce. Since jerky is the same as beef (just without the water content), it also supplies some important B vitamins, alongside high amounts of iron and zinc. For some more protein-rich snacks, check out these ideas here. Nutritional yeast is an extremely protein-dense product made from a deactivated yeast called Saccharomyces cerevisiae. In addition to providing more than 14 grams of protein per ounce, nutritional yeast has a few other benefits too. As with other plant-based proteins, it is a good option for vegetarian and vegan followers. Nutritional yeast is also very low in digestible “net” carbs because the carbohydrate it contains is predominantly fiber. 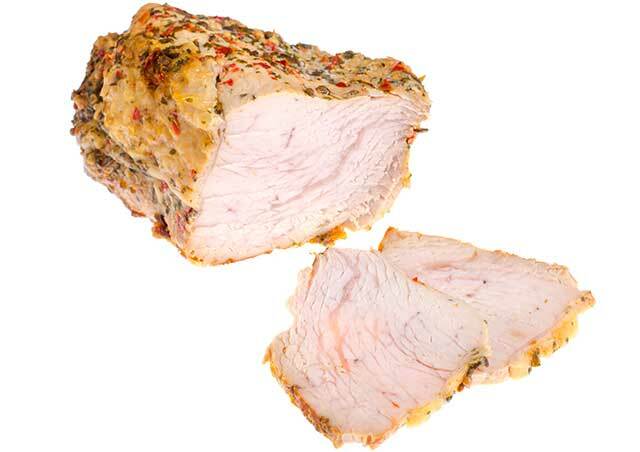 Similar to other types of poultry, turkey breast is one of the highest protein foods. As well as supplying 41 grams of protein per 8-oz portion, turkey is rich in several vitamins and minerals, particularly selenium and the B vitamin group. Despite being thought of as meat for the holiday season, turkey can be the centerpiece of a nutritious meal at any time of the year. If you thought Cheddar was protein-dense, then you may be surprised by Parmesan. The simple fact is that Parmesan is one of the highest protein foods in the world, and it provides a substantial ten grams per ounce. Furthermore, Parmesan is an excellent source of calcium, phosphorus, and selenium. This hard and powdery cheese is one of the world’s best flavoring aids, and it is easy (and delicious) to sprinkle a bit of Parmesan on top of a meal. Although whey protein is not a “food” as such, this dairy product enjoys popularity around the world as a convenient protein supplement. With a protein density of 70% or higher, a typical serving contains at least 20 grams of protein. Despite the common myth that whey is only protein, it is also an excellent source of calcium, magnesium, and the essential amino acid glutathione. Whey has one of the highest protein contents out of common foods. I know, this one may not be so popular, but it is indeed deserving of a place on the list. Even though dried squid may be unusual, it is atop of the ranking for foods high in protein. Markedly, a little one-ounce serving of dried squid provides more than 20 grams of protein. The taste of this food is a lot better than what you may expect, and the people of Hawaii, East Asia, and Russia agree. Dried squid is incredibly popular in these parts of the world. Mackerel might not be as popular as more fashionable fish such as salmon and tuna, but it is just as healthy. With a large concentration of omega-3, a wide range of vitamins and minerals, and a decent serving of protein; mackerel has an excellent nutrition profile. A typical 112-gram fillet of mackerel provides 21 grams of protein. And that brings this list to an end. In addition to the many other benefits of protein, consuming higher amounts can help to improve satiety, support weight loss efforts, protect against bone/muscle loss, and build muscle. Very informative article. But could you please give list of high protein food that vegetarians can eat? Thanks, and sure – I will try to do that soon.